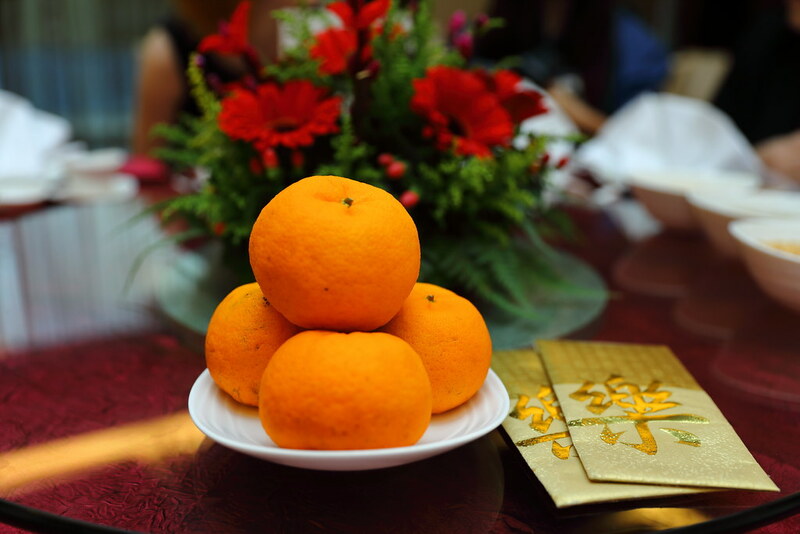 Have you plan your reunion dinner with your family or Chinese New Year dinner with your business associate? At Park Hotel Clarke Quay, Chef James Wong presents a line-up of reunion feasts comprising of 4 different set menu - Prosperity, Fortune, Harmony and Success. A staple for any reunion feast is the yu sheng. 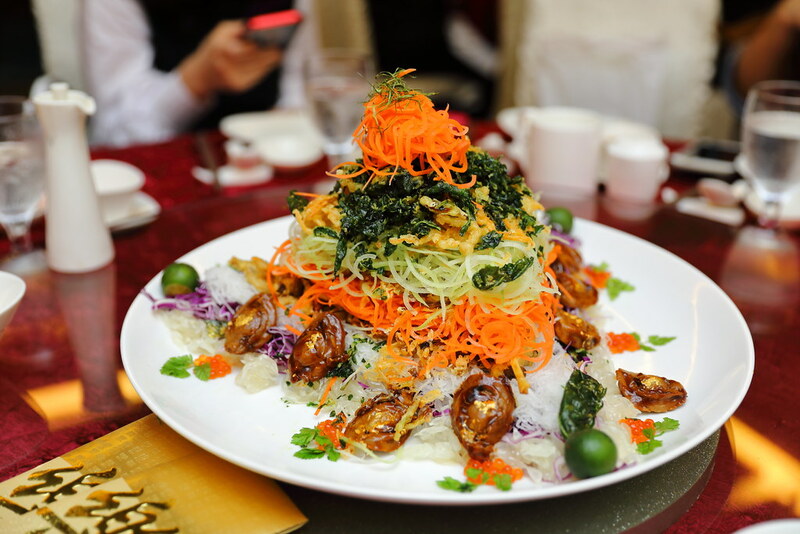 Taking centre stage at Park Hotel Clarke Quay is the Ultimate Success Premium Abalone Yu Sheng that comes in a rainbow medley of shredded vegetables, premium gold dusted abalones and kaffir leaves. Last but not least, tossed everything together with Chef's homemade sauce. A lot of time, the sauce may be overly sweet but this is well balanced, complementing the different flavours and textures. 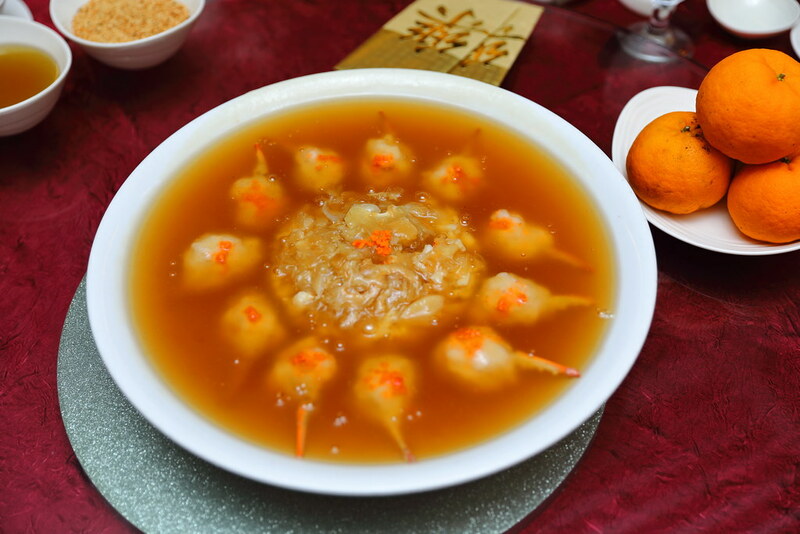 A luscious enjoyment is the Superior Braised Shark's Fin with Crabmeat and Homemade Stuffed Crab. What I enjoyed most is the stuffed crab, whereby you can get chunky bits of the crab meat within the paste mixture. 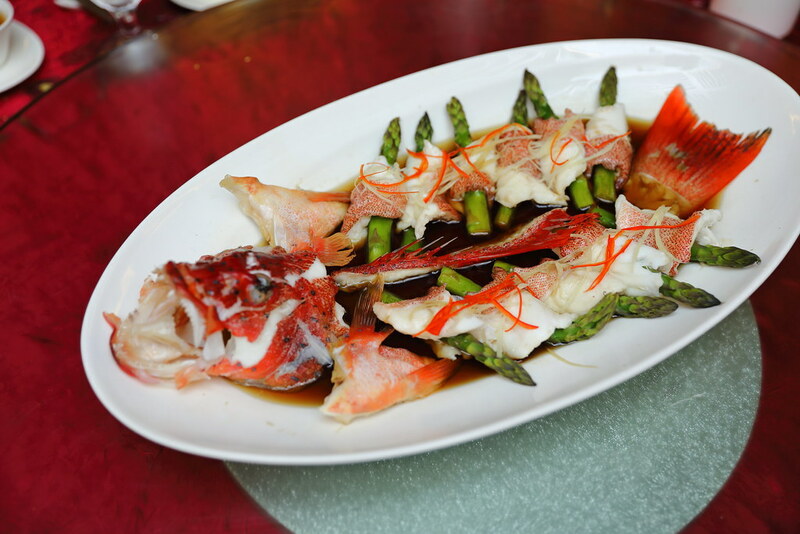 Steamed to perfection is the Red Garoupa with Fresh Asparagus Roll in Superior Light Soy Sauce. I have to applaud the effort of the kitchen for deboning the fish and plating it beautifully. 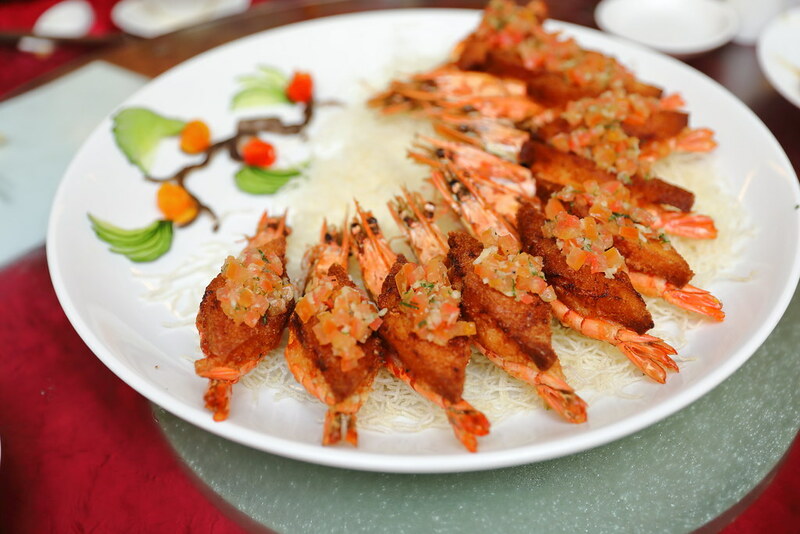 Best to dip the fish meat with the superior light soy for an enhanced appreciation of the freshness and sweetness. 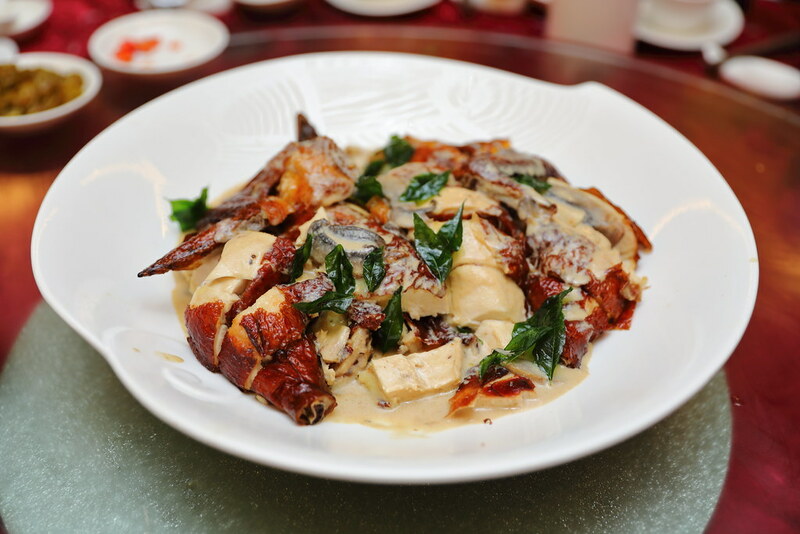 Rather unique is the Golden Crispy Chicken with Fresh Button Mushroom in Cream Sauce. Seldom did I come across the unconventional combination of using cream sauce with crispy chicken in Chinese cuisine. Not only that, the dish is covered by a nice aroma from the curry leaves. 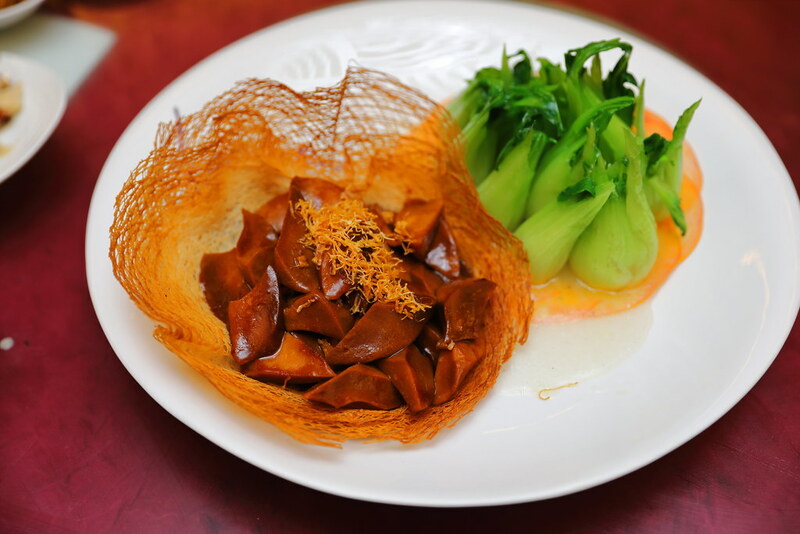 What stood out in the Stir Fried King Topshell with Chinese Greens is the quality and texture of the king topshell. I have eaten topshell before but not of this texture, which is very close to abalone. Another beautifully plated dish is the Tiger Prawn Toast with Tomato Salsa. It is like prawn in two ways. You have the prawn paste toast sitting on top of the succulent prawn. While I appreciated the use of the tomato salsa to pair with the toast, I thought it lacked the sharpness to scintillate the dish. 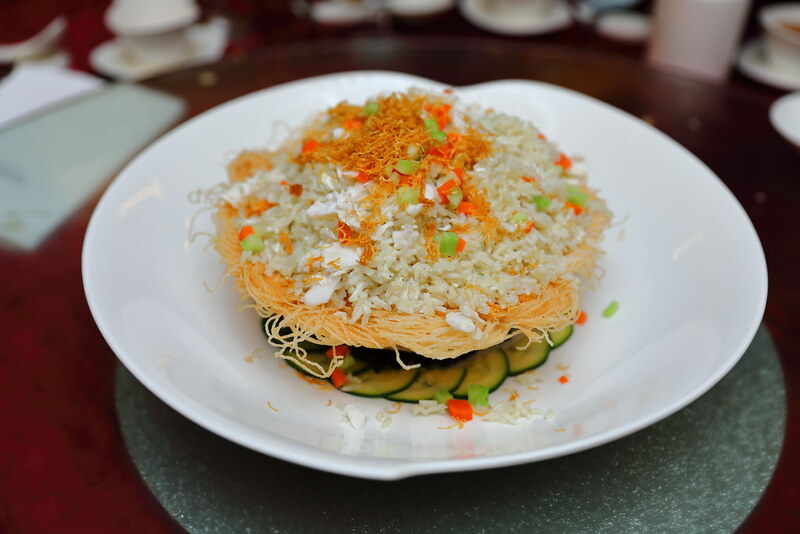 Served in a vermicelli basket is the Fragrant Fried Rice with Crabmeat, Egg White and Crunchy Root Vegetables. After all the rich flavoured dishes, it is kind of comforting to have the fried rice, which is not heavily seasoned. Light on the palate, it was fragrant and fluffy. I only wish there were more diced root vegetables for more crunchiness. Wrapping up the dinner is the Mango Peach Jelly. 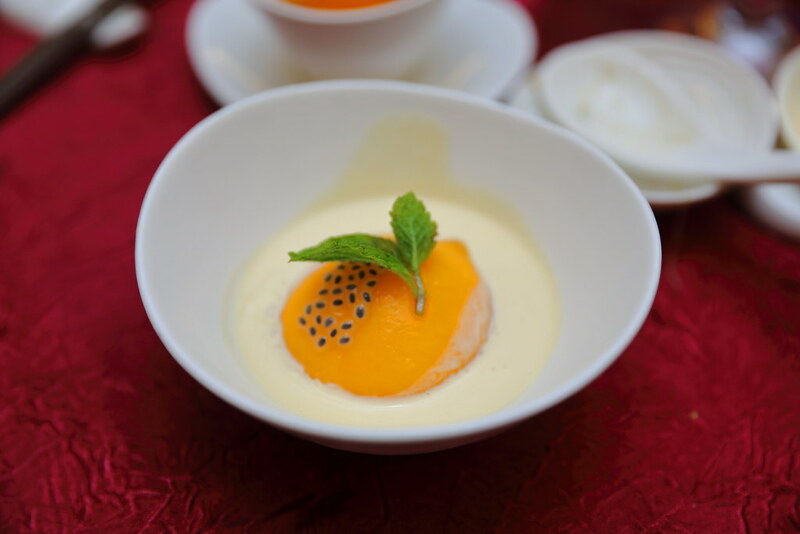 Besides the peach, what I enjoyed most is the accompany mango sago puree which liven up the whole experience. The CNY set menus are available from $338++ for a table of four to five diners, to $628++ for a table of nine to 10 diners. It is inclusive of free-flowing red date tea and soft drinks, alongside Lunar New Year carrier bags with red packets and mandarins. Three dining sessions are available: 12noon, 6pm or 830pm. For reservations, please contact 65938825/59 or bqt.phcq@parkhotelgroup.com.